Robust quality tools for cutting pipes. Meets high demands and long service life. Steel pipes Ã˜ 1/8â€“4", Ã˜ 10â€“115 mm. Robust quality tools for cutting tubes. Particularly suited for cutting stainless steel tubes..
Copper tubes, thin-walled stainless steel tubes, thin-walled steel, aluminium, brass tubes Ã˜ 3â€“120 mm Ã˜ 1/8â€“4". REMS RAS Cu-INOX for tubes Ã˜ 3â€“16 mm, 1/8â€“5/8"
REMS RAS Cu-INOX Mini for tubes Ã˜ 3â€“28 mm, 1/8â€“11/8"
REMS RAS Cu-INOX for tubes Ã˜ 3â€“35 mm, 1/8â€“13/8"
REMS RAS Cu-INOX for tubes Ã˜ 3â€“42 mm, 1/8â€“13/4"
REMS RAS Cu-INOX for tubes Ã˜ 3â€“28 mm, 1/8â€“11/8"
REMS RAS Cu-INOX for tubes Ã˜ 6â€“42 mm, 1/4â€“15/8"
REMS RAS Cu-INOX for tubes Ã˜ 6â€“64 mm, 1/4â€“21/2"
REMS RAS Cu-INOX for tubes Ã˜ 64â€“120 mm, 21/2â€“4"
Robust quality tools for cutting tubes. Copper tubes Ã˜ 3â€“64 mm. Ã˜ 1/8â€“21/2". 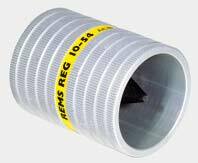 REMS RAS Cu for tubes Ã˜ 3â€“35 mm, 1/8â€“13/8"
REMS RAS Cu for tubes Ã˜ 3â€“42 mm, 1/8â€“13/4"
REMS RAS Cu for tubes Ã˜ 8â€“42 mm, 3/8â€“15/8"
REMS RAS Cu for tubes Ã˜ 8â€“64 mm, 3/8â€“21/2"
Robust quality tools for cutting pipes. With quick adjustment. Plastic pipes, multi-layer composite tubes Ã˜ 10â€“315 mm, Ã˜ 1/2â€“12". REMS RAS P for pipes Ã˜ 10â€“40 mm, 1/2â€“15/8"
REMS RAS P for pipes Ã˜ 10â€“63 mm, 1/2â€“2"
REMS RAS P for pipes Ã˜ 50â€“110 mm, 2â€“4"
REMS RAS P for pipes Ã˜ 110 â€“ 160 mm, 4-6"
REMS RAS P for pipes Ã˜ 180â€“315 mm, 7â€“12"
Robust, compact high performance machine for pipe cutting and deburring and for outer chamfering (30Â°) also. For installation, metal working, industry. For job site and workshop. Stainless steel pipes of pressfitting systems, copper pipes, thin-walled steel, aluminium, brass pipes Ã˜ 22â€“108 mm, Ã˜ 1/2â€“4", steel pipes DIN 2440 Ã˜ 1/2â€“4" ,SML pipe, cast iron pipes Ã˜ 50â€“100 mm. REMS Magnum RAS Cu-INOX â€“ cutting stainless steel up to Ã˜ 108 mm. Handy quality tools for clean, fast pipe cuts. For thin-walled pipes also. Sturdy aluminium design. Plastic pipes, multi-layer composite tubes Ã˜ â‰¤ 63 mm Ã˜ â‰¤ 2". Robust quality tools for clean, fast cuts. Sturdy steel design. Long service life. Plastic pipes Ã˜ â‰¤ 75 mm Ã˜ â‰¤ 21/2". Fast,cordless, burr free pipe cutting for plastic and composite pipes up to Ø40mm. Up to 200 cuts per battery charge. Extremely powerful, e.g. Ø20mm composite pipe in just 4 seconds. Supplied complete with battery, charger and cutting blade. Robust quality tool for right-angle, plain cutting and chamfering (15Â°) in one operation. Can be used anywhere, free-hand, on parallel vice or work bench. Plastic pipes in ABS, PB, PE, PE-HD, PE-X, PP, PVC, PVDF Ã˜ 40â€“110 mm. REMS Cut 110 P â€“ cutting and chamfering at the same time. Robust quality tool for right-angle cutting of welded pipe. Can be used anywhere, free-hand, on parallel vice or work bench. Welded rain gutter pipes in copper, titanium zinc, stainless steel Ã˜ 60â€“110 mm. Welded drain pipes/downpipes in stainless steel Ã˜ 50â€“110 mm. 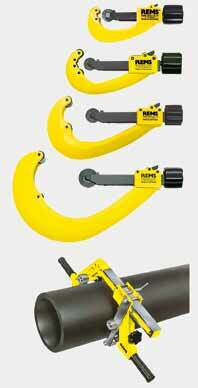 REMS Cut 110 Cu-INOX â€“ easy cutting of rain gutter pipes. Handy quality tools for simple and fast external chamfering (15Â°) of pipes. Plastic pipes Ã˜ 16â€“250 mm, Ã˜ 3/4â€“10" Wall thickness â‰¤ PN 16. REMS RAG â€“ chamfering at 15Â°. 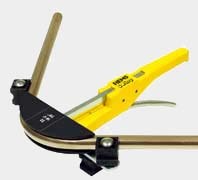 Universal quality tool for deburring tubes and edges of different materials. Copper, steel, brass, aluminium, plastic. 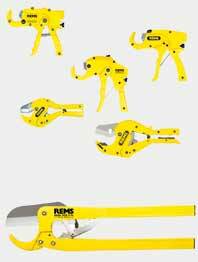 REMS REG Universal â€“ the all-purpose deburrer. Robust quality tool for inner pipe deburring. For electric operation. Steel pipes and other pipes Ã˜ 1/4â€“2". 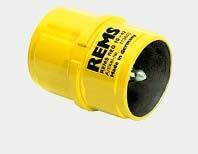 REMS REG St 1/4â€“2" â€“ effortless electric deburring. Sturdy manual tool for outer-inner tube deburring. Copper, brass, aluminium, steel, plastic tubes Ã˜ 3â€“35 mm, Ã˜ 1/8â€“13/8". REMS REG 3-35 â€“ the sharp edge. Robust solid all-metal tool for outer-inner pipe and tube deburring. For manual or electric operation. Stainless steel pipes, other steel pipes, copper, brass, aluminium, steel, plastic pipes Ã˜ 10â€“42 mm, Ã˜ 1/2â€“1 5/8". 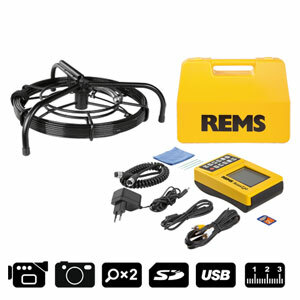 REMS REG 10-42 â€“ by hand or electric. Specially for stainless steel pipes. Robust manual tool for outer-inner pipe and tube deburring. Stainless steel pipes, other steel pipes, copper, brass, aluminium, steel, plastic pipes Ã˜ 8â€“35 mm, Ã˜ 3/8â€“1 3/8". Stainless steel pipes, other steel pipes, copper, brass, aluminium, steel, plastic pipes Ã˜ 10â€“54 mm, Ã˜ 1/2â€“2 1/8". REMS REG 8-35 â€“ the multiple edge up to Ã˜ 35 mm. REMS REG 10-54 â€“ the multiple edge up to Ã˜ 54 mm. 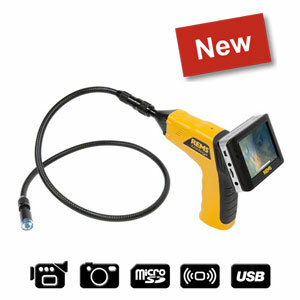 Rugged quality tools for tough use and long service life. All-steel, drop forged. Swedish model according to DIN 5234 â€“ Form C.
Pipes Ã˜ â‰¤ 3". Nuts, bolts, flat material. 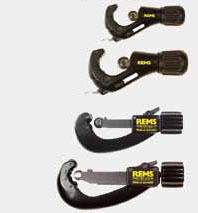 REMS Catch S â€“ for professional use. Rugged quality tools for tough use and long service life. All-steel, drop forged. According to DIN ISO 8976 with box joint. Pipes Ã˜ â‰¤ 11/2". Square, hexagonal joints, flat material. 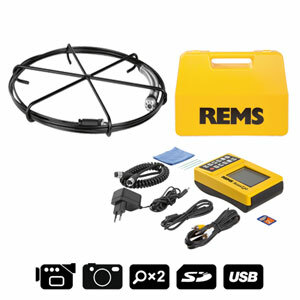 REMS Catch W â€“ for professional use. 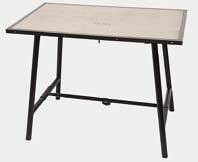 Solid, portable folding work bench for universal use. Ideal for working with a vice. High quality for long service life. Work top 1100x700 mm, height 800 mm, weight 33 kg. 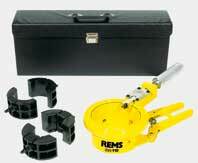 REMS Jumbo â€“ the indestructible work bench. Vertically adjustable material support with roller guidance for rotating and stationary pipe and solid material. Pipes Ã˜ 1/8â€“4". Solid material Ã˜ 6â€“115 mm. REMS Herkules â€“ the sturdy support. Proven, reliable testing pump for pressure and tightness tests of piping systems and receptacles. Testing and pressure range p â‰¤ 60 bar/6 MPa/870 psi water, oil, glycol. 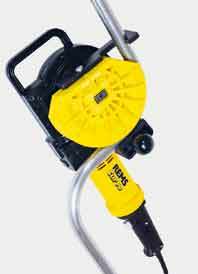 REMS Push â€“ reliable pressure hold. 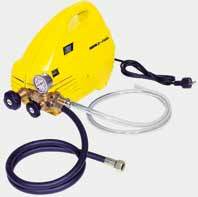 Powerful, electric pressure testing pump for pressure and tightness tests of piping systems and receptacles. Ideal also for charging solar systems. Testing and pressure range p â‰¤ 60 bar/6 MPa/870 psi. Pumping capacity 7 l/min water, hydrous solutions, emulsions. REMS E-Push â€“ electric charging and testing.